Our school's Teacher Appreciation Day was this week. At first, I was going to do a plant, but then the classroom started to resemble a florist... And then I was really tempted to do this cute coffee card, but wasn't sure if the teachers were big coffee drinkers... So I quickly put on my thinking-cap, and this is what Smarty Pants and I created this morning. smarty pants decorated the other. This idea has been around for a while (I know because I've already done it a few times! 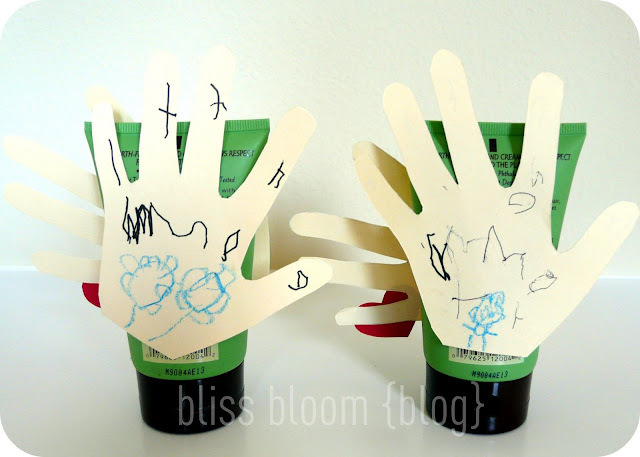 ), but I think it's fun... and who couldn't use more hand cream? 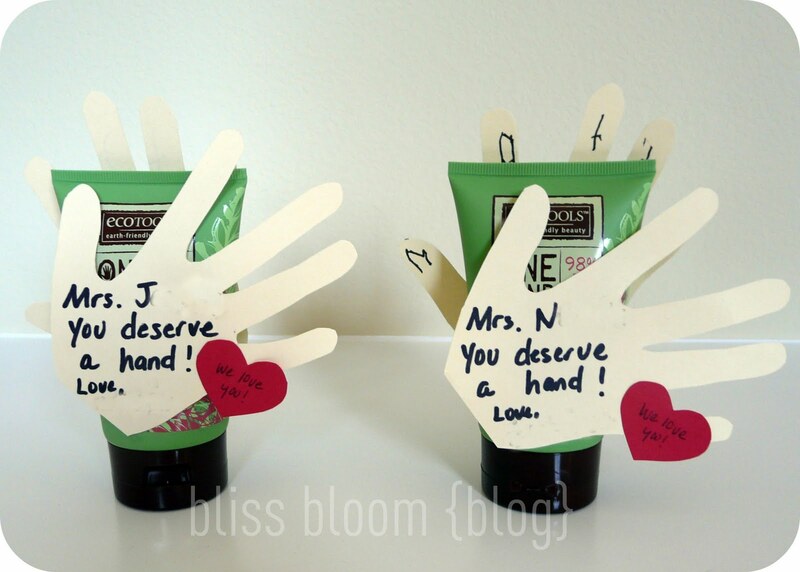 It's originally a Valentine's Day idea, but easily translates to Teacher Appreciation. Now I have to get to work on the teacher's year-end gifts. I can't believe that school ends in a week!